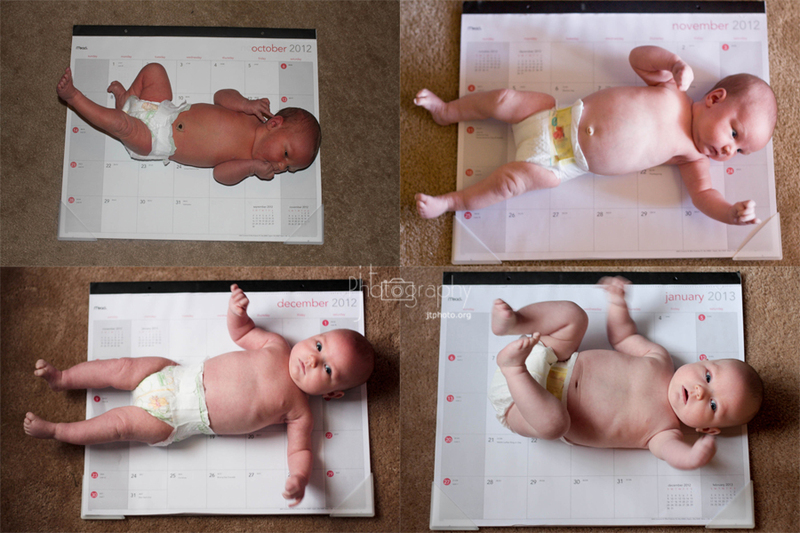 I love watching the progression of babies growing in photos. There are a lot of cute ideas out there for monthly photographs. I have thought of doing something different for Abi but I did these calendar photos for Micah and Hannah as well so I thought I'd just stick with what I know! 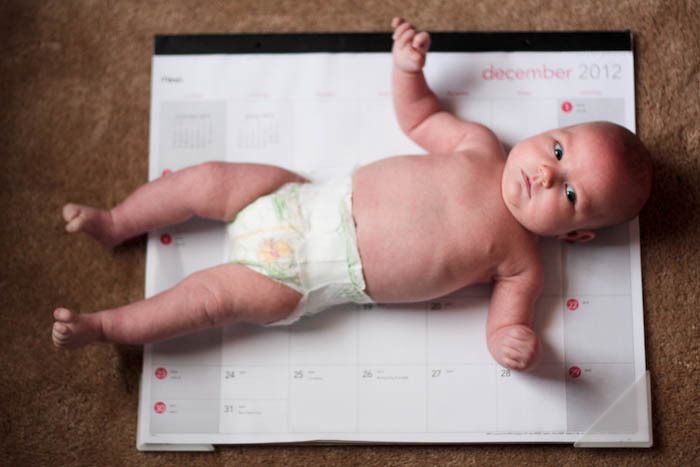 Here are Abi's first three months of calendar photos! Starting with her birthday in October! At three months she is 24 inches long and 12.4 pounds!